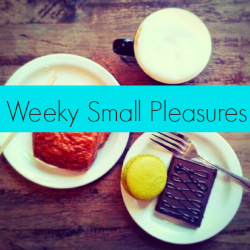 Another week went by and it’s time to post my Weekly Small Pleasures for A New Life Wondering blogging event! This week my husband was away for 5 days and I was alone with the kids again, which is always a challenge. I don’t have a picture for that, but let me tell you, it was very pleasant to have him back and share the load of handling two tiny expats. 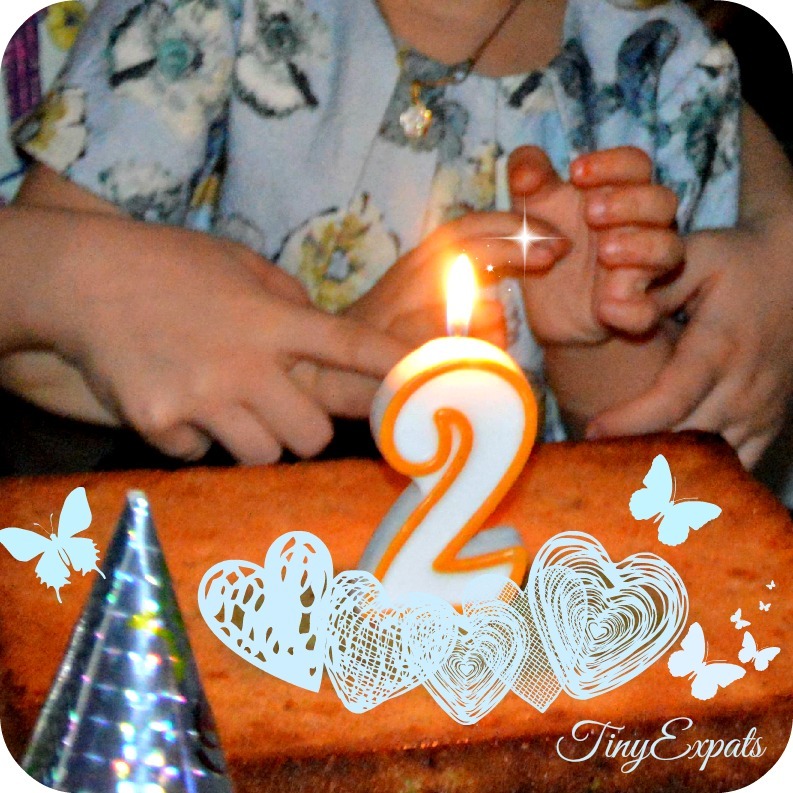 What I do have a photo of is my younger daughter’s second birthday! Isn’t it amazing how fast the time flies? You know what they say: “The hardest time is the first three weeks, the first three months and the first three years”. Well, even though I still have one more year to go, it still feels already so much easier with the little one. And it seems it was only yesterday that she was born on a cold and snowy day in Moscow! Another small pleasure was provided by our elder daughter and my husband – they put together a puppet theatre. 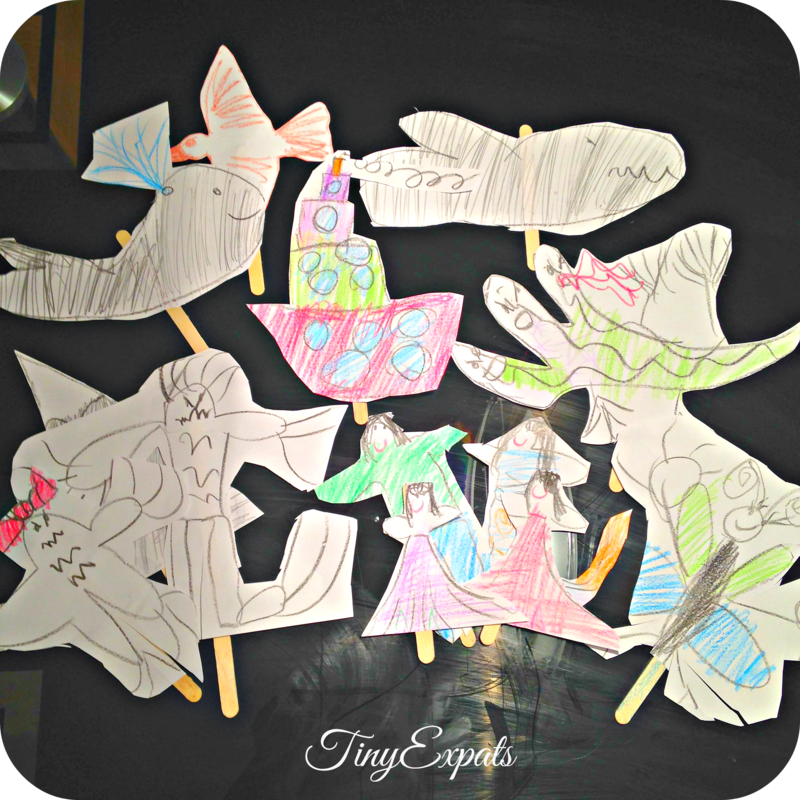 First of all, my daughter decided to draw various characters (which included Mum, Dad, two daughters and a variety of different creatures) and glue them to wooden sticks. Then my husband came up with three different stories about them, told from behind a bed cover hung between two chairs. Initially, it was supposed to be just one story, but kids loved it so much that his theatre company had to extend the program. What was the favourite feature of his shows were special effects. We had rain (he actually sprayed us with water), moon rising (his phone flashlight with light off in the room) and -pièce de résistance – Mum was always carrying a laser sword around, slaying monsters and dragons (sudden flash of a laser pointer caused an ovation amongst the viewers). And, finally, I started a blogging event this week, which I’m very happy about. I think, it goes pretty well with the theme of my blog. 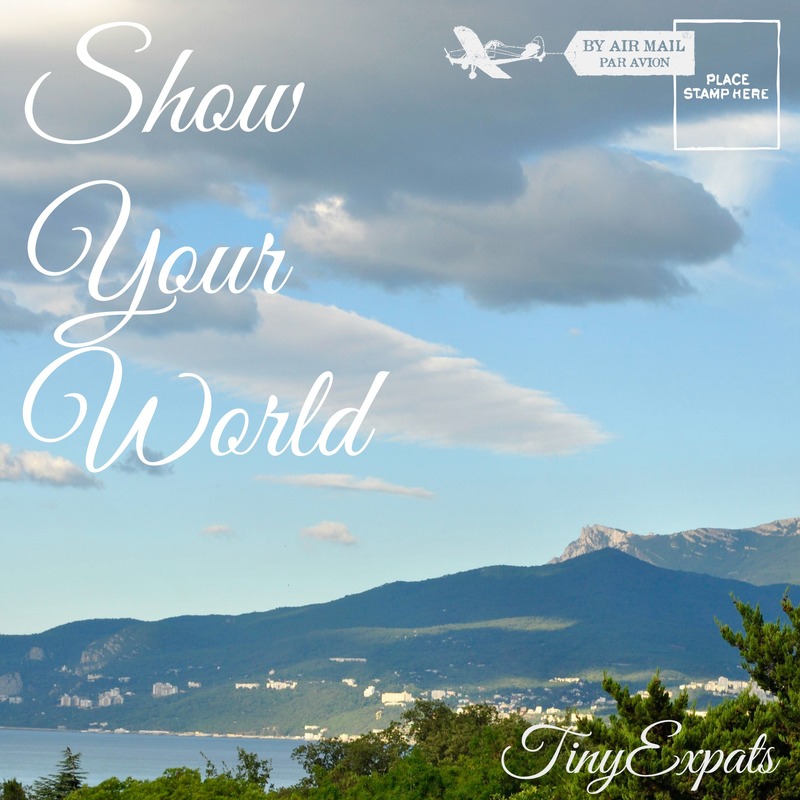 I’ve already posted my entry and this week I tried to show you one of my favourite places – a tiny village nearby Yalta, Crimea. Everybody’s welcome to join! I’ll be collecting entries until Monday evening and then I would post a round up on Tuesday, where I would share links to the participating posts on my blog and social media. Love the puppet theatre! We had something similar the other day although only two characters and I think they were both eggs. Oh and I would definitely agree first three weeks, months and then years are the hardest! No one warned me about the terrible threes. ..Although now she’s seven she still has her moments. ..
As soon as they start school time just disappears. It’s terrifying! I can’t believe we’re half way through another school year. ..
You’ll be so glad you have those pictures one day: my youngest daughter turned 17 last month, and it was fun to see her 2nd birthday pix. Love the puppet show! It must be quite the relief to have your husband back after 5 days. Thanks for sharing this week! It was! :) Thanks for hosting such an event – it is really nice to look back and realise that there’s always something positive to be thankful about.